Over the past couple of weeks, Google has announced some pretty big changes to some of its apps and services, like Google Assistant, Google Maps, and the Google Feed, which is now called Discover. As we approach the weekend, a number of those changes are arriving on phones, according to so many of you readers. For Google Assistant, Google announced just this week that Assistant is getting a bit of a makeover. That makeover includes more touch controls, bigger touch points, and a balancing of voice and physical interactivity. The new Assistant also lets you quickly swipe up as it listens to get into your updates for the day. 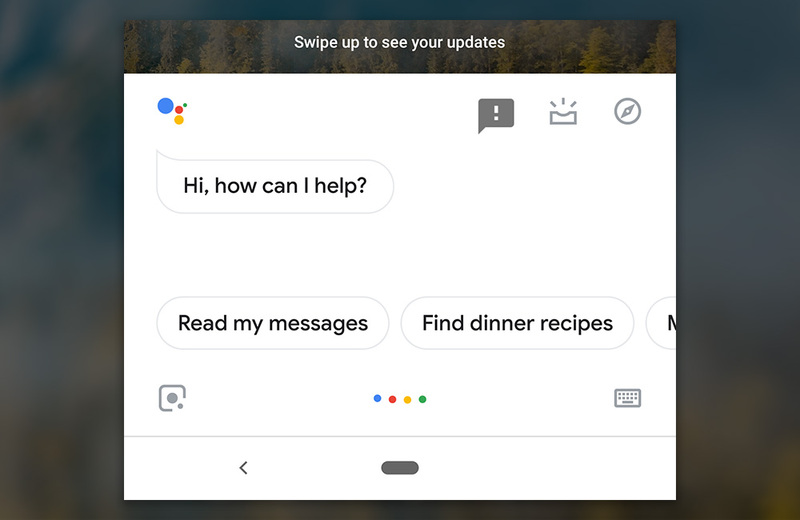 You can see just how that new Assistant UI looks above. As of today, it seems to be widely rolling out. Check for a Google App update on Google Play if you aren’t seeing it just yet. 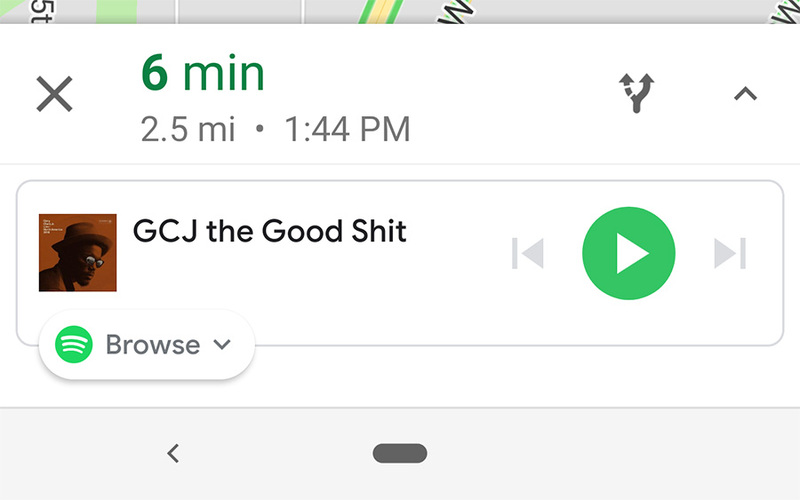 For Google Maps (below), Google introduced music controls within the navigation UI and a new commute tab to help you better manage your daily to-and-from work route. We haven’t seen the commute tab yet, but the music support is there. Currently, Maps has support for Google Play Music, Spotify, and Apple Music, so you can jump between tracks without ever leaving your navigation screen. For Spotify, users also have quick access to their library of songs, albums, podcasts, and playlists. To turn on the new music controls in Google Maps, you’ll head into Maps, swipe out the side bar and go into Settings>Navigation Settings. 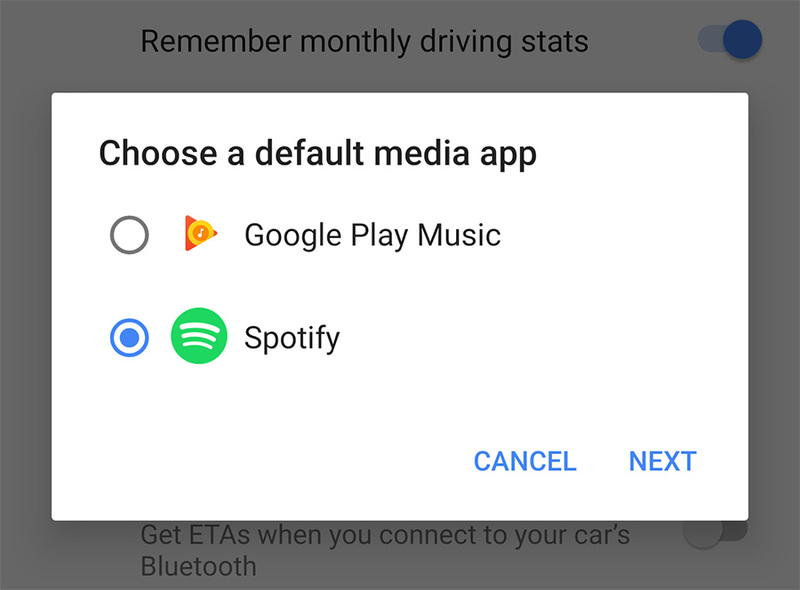 From there, scroll all of the way to the bottom and toggle on “Show media playback controls.” Once you’ve done that, you’ll be able to tap on the “Default media app” and choose the music service you use. And finally, the new “Discover” feed has rolled out to most, but what users are finding is a dark theme or mode with supported launchers. 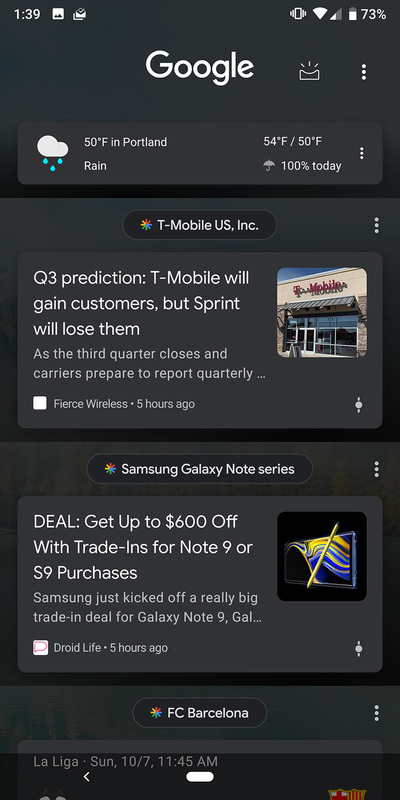 If you own a Pixel or Pixel 2 and have the Google app enabled as a swipe to the left of your home screen, this Discover feed now pays attention to your phone’s theme. If you have the light Pixel theme applied, Discover will match that. If you have the dark theme selected, it’ll turn dark as you can see below. Cheers Brent, Derek, Randy, Mark, and everyone else!